Be it an eStore for your client or a state-of-the-art update to your own website, you can count on CAMERAReadyArt to provide you with a custom tailored website that fully fits all of your needs. CAMERAReadyArt is a pioneer in developing IT based solutions for the promotional products industry. We help promotional products distributors, print distributors and print manufacturers servicing all of their website needs. Being a dynamic and high volume industry, promo websites need constant updates and strategy changes to meet consumer demands. We have the experience and skills to delivery a wide range of website solutions. Get a professional and custom responsive theme designed, developed for your eStore. Create a lasting first impression and build trust and confidence. A custom designed store that will stand out of from the crowd. Get noticed. With our attention to detail, your customers will be delighted with the intuitive navigation and product highlight. The result is a higher sale close ratios. Responsive websites are not 'mobile websites'. A responsive website is build to be able to run smoothly across all devices. Upgrade the non-mobile friendly website to Responsive websites that looks good across the devices and platforms. Mobile customers are growing high in number and Google always fetches the best result producing e-Commerce platforms to the top SERPs. Increase your chances for conversions soon as you make your website mobile ready. 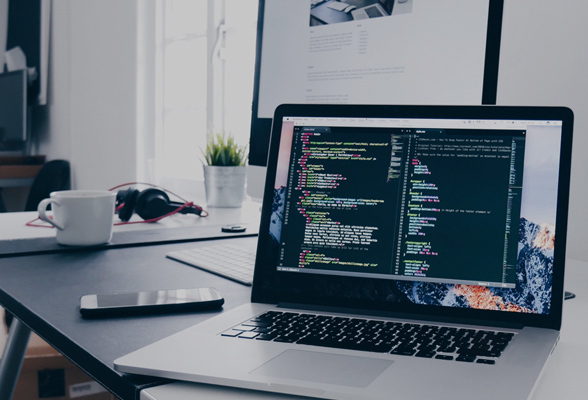 We have nearly 20 years of customer success in custom web development and have built web solutions that not only improve business efficiency for our customers/partners, but also encourage strategic business growth. Understand your business > know your priorities > capture your ideas to create a solution > increase growth > improve ROI > complete satisfaction for rendered services. CMS is modern day need of every company to easily upload and publish content like articles, images, videos etc. on website without any technical knowledge or separate software. Custom CMS Development in PHP or .Net and Open-Source systems like WordPress, Joomla & Drupal. Our CMS experts’ uses agile & consultative approach to understand client’s content needs. Timely delivery of easy-to-use CMS solutions providing better control and management over company's digital content. Whether you are planning to start an e-store or improve your existing retail website, CAMERAReadyArt can offer domain-specific bespoke e-commerce design and development solutions. Technical e-commerce solutions and strategizing. B2B and B2C e-commerce solutions in ASP.net and PHP for small, medium and large-sized companies. Integration consulting is used to automate data transmission between systems and applications through web-based services. Whether you need an integration partner to take overall integration and performance accountability or just as a support to your existing team, we offer seamless integration consulting. Avoid defects through developing as well as implementing the complex testing strategies. Maintain the strategies throughout the development life cycle. These solutions facilitate the organizations in meeting preferred software quality whereas reducing the time and cost. Help agencies in achieving optimum software quality whereas reducing the time and cost associated to the testing services. Got any Question? Call Today!